I have the most unfortunate news... One of - if not thee - best Italian restaurants in Setagaya-ku is closing their doors for good on Christmas 2010... Yes, ladies and gentlemen, the place I just blogged about a few months ago, La Pianta, is closing up shop after 15 great years in Sakura Shinmachi on the Denen Toshi Line. I love this restaurant. I don't know what we are going to do without it around. 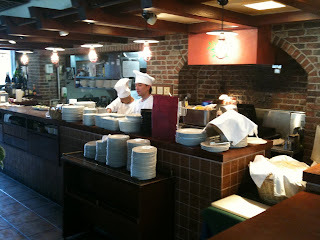 The food was great; it has parking; it was the place we always had family celebrations! No!!!!! Keep La Pianta alive! If you have the chance.... Go to this great restaurant before it closes its doors forever. 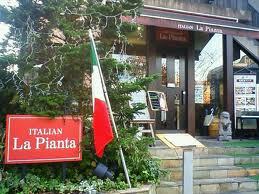 La Pianta is a 4 minute walk from the west exit of Sakurashinmachi station. To get to Sakurashinmachi: Take the Den-en-Toshi local subway line from Shibuya station towards Chuorinkan. 4 stops to Sakurashinmachi. When you get to the station, go out the west exit. I remember you taking me there a few years ago. It was great!